In 1945, the 17-year-old Rudolf Strassner is taken prisoner in the Russian prisoners camp of Bryansk, a town located 380 kilometres southwest of Moscow. His days consisted in working as a raftsman on the cold Desna River until one day the commanding officer accidentally discovered Rudolf’s musicality as he was playing the piano. 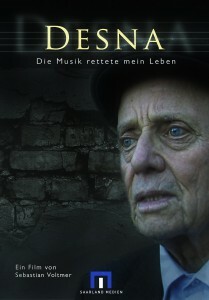 This chance led to his survival and his secret love to Annuschka, a young woman he gave piano lessons outside the camp. In 1949, Rudolf Strassner was sent back to Germany. More than 60 years later, Strassner revives together with fellow prisoners their Russian past. He sets out for Bryansk in order to return to this memorable place and search for Annuschka. The film shows in how far two human beings can be connected over time and space.